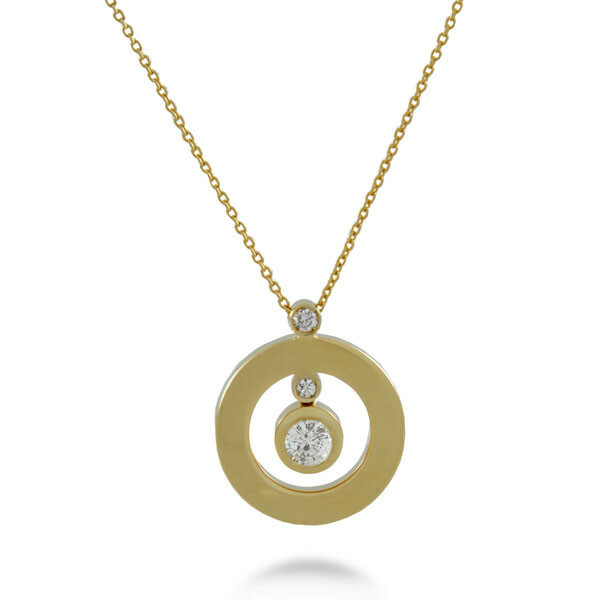 The Roberto Coin Cento collection presents this polished O pendant for the savvy woman. Two diamonds, one large and one small, drop into the center of the shape, crafted of 18kt yellow gold, whilea medium-sized diamond rests at the top. The pendant floats along a link chain that adjusts from 16" to 18" for the perfect spot on your neckline. This stunning Roberto Coin pendant is refined enough to integrate with any outfit beautifully.